Kent is in charge of operational efficiency and business operations for Factor Design Build. Kent has over 20 years of construction, property development, property management, and extensive homebuilding experience. Prior to Factor Design Build, Kent worked for both a national homebuilder and two regional builders overseeing operations, customer experience, and process improvement initiatives. Kent worked with Richmond American Homes/MDC Holdings for 14 years in a number of roles. He started in the field as an Construction Superintendent, from there he moved to the Project Manager/Construction Manager role and then Director of Construction. 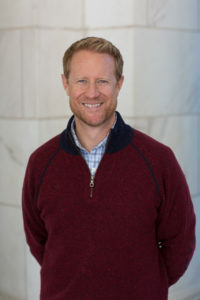 In 2009 Kent was promoted to National Director of Operations and the Construction team leader to oversee a process improvement project for Richmond American Homes nationally, while maintaining an active leadership role in their Customer Experience Department. Kent also worked for Oakwood Homes as VP of Operations, and maintained his Colorado roots by working for Inspired Design and Construction in Boulder for 7 years. Kent attended Colorado State University, where he graduated with a Bachelor of Arts degree in Liberal Arts- Sociology, with additional coursework in Political Science and Construction Management.Kent is very involved in his community and committed to giving back. He currently sits on the board of the Whittier Neighborhood Association, where he is VP, and recently assisted in overseeing a public art installation that won a Mayor’s Design Award. In his spare time Kent enjoys spending time with his two daughters, and wife, hiking, backpacking, yoga, gardening, and playing ice hockey.